Death and terminal illness are things you’d rather avoid thinking about, but taking out life insurance provides financial protection for you and your loved ones. In the unfortunate event of death or the onset of terminal illness how will your family cope? As well as the emotional strains and stresses there is of course a time where practical issues must be addressed and dealt with. Can the mortgage be afforded? Is there enough money to live each week? All of these issues and of course many more need to be allowed for. 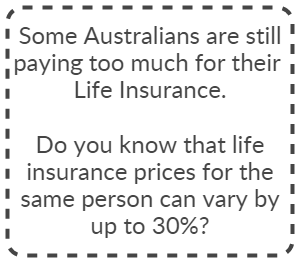 Life Insurance is needed to ensure the loved ones left behind are well catered for. The first part of this process is to obtain a quote for Life Insurance from multiple insurance companies at once.